Stranger Things 2 Ep. 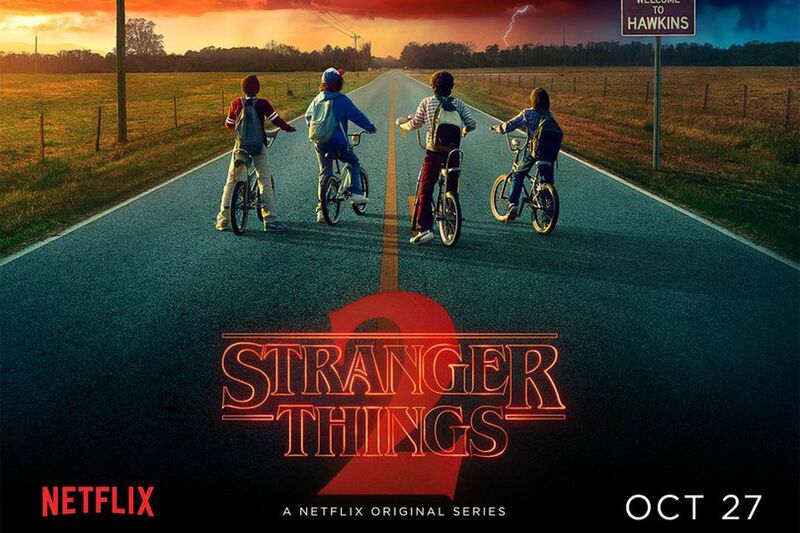 1: "Mad Max"
To say the newest season of Netflix’s “Stranger Things” starts with a bang is a bit of an understatement. Not only does the first episode of the second season begin with a cast of hoodlums we’ve never met before, but we follow the meth-head Scooby-Doo gang on a high-speed pursuit through the streets of Chicago. A long way from Hawkins, Indiana. From there this first episode “Mad Max” gets right back into the now-classic “Stranger Things” vibe we all know and love. 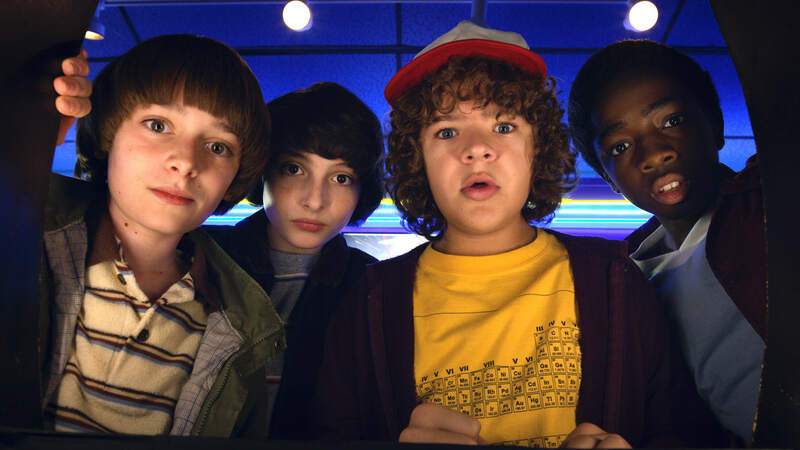 And the episode couldn’t have kicked off better than to begin its new tale following our favorite character Dustin (Gaten Matarazzo) around as he scavenges frantically for quarters. Turns out Dustin and his buddies, Mike (Finn Wolfhard), Lucas (Caleb McLaughlin), and Will (Noah Schnapp) are all headed to the arcade were Dustin will realize someone – a mysterious entity know only as Mad Max – has (gasp) beaten his high scores to not only “Centipede” but “Dig Dug” as well. Turns out this Mad Max cat is a redheaded girl new to the town of Hawkins. Maxine is played by series newcomer Sadie Sink and she is (almost) immediately a much-welcomed addition to the gang. Her brother, not so much. While our gang of misfits are lamenting Mad Max’s rule over their domain, plucky little Will Byers feels something odd on the breeze. He then steps outside and has a full-on living nightmare. One where the upside down has taken over Hawkins (and the world?) and the whole mess is lorded over by a tentacled creature straight out of Frank Darabont’s The Mist. Or Monsters Inc. for that matter. Cut to the next day where we’re reintroduced to David Harbour as the rough and tumble sheriff of these parts, Jim Hopper. Dragging himself into work, Hopper is immediately met by the town conspiracy theorist played by Brett Gelman. The man thinks something is rotten in the state of Illinois, and boy is he right. After that bit of setup, we join Hawkins’ two resident couples: Nancy and her boy-toy Steve (one of my favorite returning characters), and Joyce (Winona Ryder) and her new man, played by Mikey from The Goonies. Or, you know, if we want to go by his real name, Samwise from Lord of the Rings. The two couples talk and kiss and we move back to Hopper. Jim Hopper aka Hop has a problem: all of the pumpkins in Hawkins are rotten from the inside out. Being that Halloween is in two days, this presents a (slight) problem for the residents of Hawkins. Don’t worry, they’ll get over it. We then meet another new series character in the form of Paul Reiser’s Dr. Owen, a doctor (natch) at the sinister energy plant upon the hill. Young little Will Byers has to have weekly checkups with the d*ck from Aliens and we learn that the tentacles monster from the mist that Will saw outside the arcade wants everyone in the world dead. How are them pumpkins doing, Hopper? Speaking of bigger fish to fry than sour pumpkins, Nancy and Steve have a dinner date… with Barb’s parents. Cue the KFC awkwardness. Turns out, and rightly so, Nancy feels guilty about Barb’s death, and how she has been restricted from telling the redheaded future librarian’s parents the truth behind their daughter’s disappearance. Wrapping up the episode, Mike misses Eleven, Will sees more siniter visions and the Byers clan is forced to watch Mr. Mom. Just when things seem to be winding down, however, the show drops a bombshell. Eleven is alive and well and living in a cabin in the woods, protected and taken care of all these last 353 days by the noble Sheriff Hopper. This first episode of “Stranger Things 2” is all we could have asked for in a re-introduction to the world of Hawkins. We meet all our old favorites again, while still finding the time to meet a few new friends along the way. Make sure to check back tomorrow for our recap/review of “Stranger Things 2” episode 2: “Trick or Treat, Freak”.